It’s difficult to pin down when quality should trump quantity in sales. In certain situations, the best thing you can do is make as many calls you can as efficiently as possible. 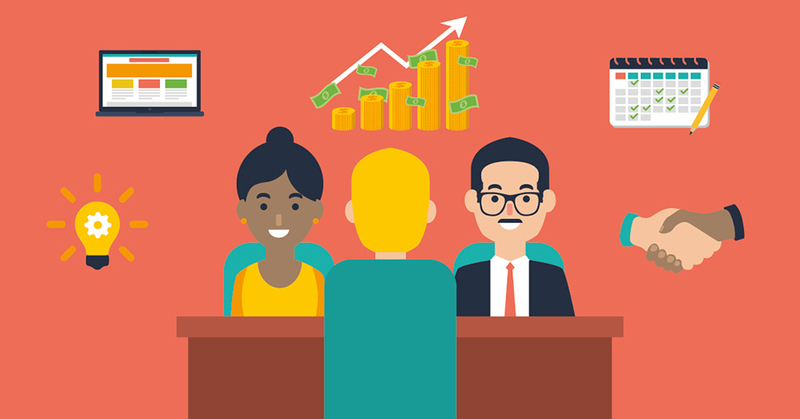 Meanwhile, securing a 10-minute meeting with the right decision maker can be enough to drastically alter the trajectory of your business. So how do you reach these high-level executives when they already have so many demands on their time? One surprisingly effective strategy is contact marketing, and it can be the key to getting the time you need with the right people at the right moment. With the principles of contact marketing, you can create optimal situations that allow you to explain why your business is poised to help this executive. Contact marketing isn’t a one-size-fits-all solution with a pre-determined script to follow to achieve your desired meeting. Rather, it’s a collection of many of the principles used in successful sales and marketing campaigns that you can apply to your own process. The same techniques you rely on for putting your product in front of your customers can be retrofitted to get you an audience with an important decision maker. In fact, you can think about this endeavour the same way you think about your marketing and sales strategies: Do your research, understand your customer’s problem, get the timing right, and provide value. Prioritize making a connection. Postpone the sales pitch. If you are successful in attracting the attention of a top executive you’ve been reaching out to, do not make the critical mistake of assuming that you have to launch into a pitch immediately. Instead, focus on the connection you have made at first, demonstrating to them that you are interested in laying the foundation for a value-added relationship. Initiate contact with the primary goal of forming an authentic connection with your prospects. Practice patience so that you can find a more opportune time to successfully sell them on your products or services. This is also where it pays to do your homework beforehand. You can discuss common interests or mention personal connections between the two of you. It is a good idea to express interest in and ask relevant questions about their business. Naturally, people like to talk about things they are well-versed in. You are building a relationship for its own sake, but this will give you the opportunity to use your rapport as a springboard for potentially promoting your company later, too. Get the executive assistant on your side. Executive assistants and receptionists are important stakeholders in the sales process and are unofficial gatekeepers who can accelerate or stymie the sales process. 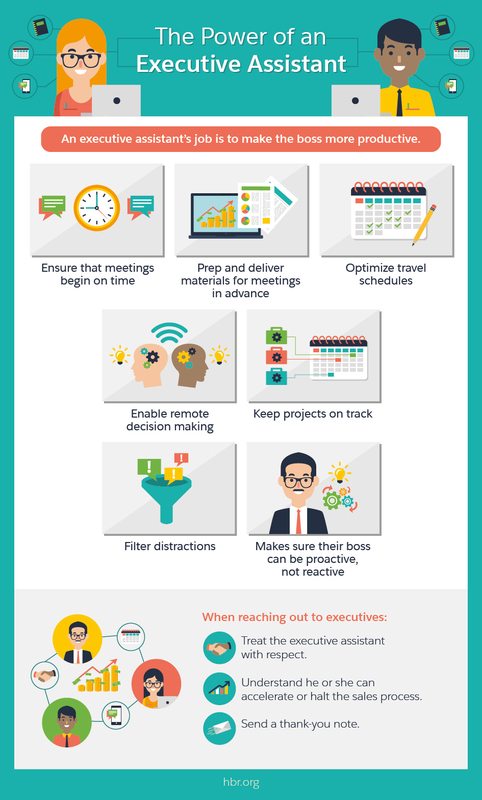 Give executive assistants reason to prioritize your access to the most important people in the company. They’re far more likely to grant you access to a power player if you treat them with thoughtfulness, respect, and understanding. Send your prospect’s assistant a thank you note or a small gift to show your appreciation after he has shuffled items in his boss’s calendar to squeeze you in for a meeting. Don’t be afraid to start farther down the ladder. Targets at the top of the food chain are generally hard to catch. C-suite executives are elusive buyers, so you have to be prepared to hook smaller fish first. For example, if you have trouble getting noticed by directors at Fortune 500 enterprises, consider reaching out to less senior managers first. It is easier to make inroads at an organization by creating advocates who are farther down the organizational chart. It demonstrates a commitment to the company, and puts people who already have access to company execs in a position to promote you. Monitor social media channels for opportunities, but focus on value-added posts. It is okay to reach out cold to executives on public social channels, but it is wise to avoid immediate pitches. Instead, use social media for its best purposes: sharing information and forging connections. Always make sure that anything you post that’s directed at a prospect provides that person with something of value. That way, you condition your target audience to tune in to the messages you share over social media. If you retweet them, add a comment that shows you gleaned insight from what they shared. You can also share content that is relevant to their company and tag them, which can help prompt an interesting conversation and position you as someone with real value to contribute. Use the power of events. The next time you host an event or organize a conference, consider extending an invitation to a relevant executive who may gain something from attending. You can give them the full VIP treatment while demonstrating that you are dedicated to enriching the business community and furthering knowledge and best practices in your field. However, if your guest cannot physically make it to the event, consider providing them with access to view the proceedings on a live feed or recorded webinar. You can follow up with them afterward to continue nurturing the relationship. Marketing and branding does not stop with your product—it extends to you as well. When it comes to getting in a room with key decision makers, you are the product. You want to position yourself as desirable and worthy of attention. One of the best ways to accomplish this is by remaining as dedicated to your personal brand as you are to your company’s brand. Your personal brand is the summation of your reputation, relationships, and perceived level of expertise. 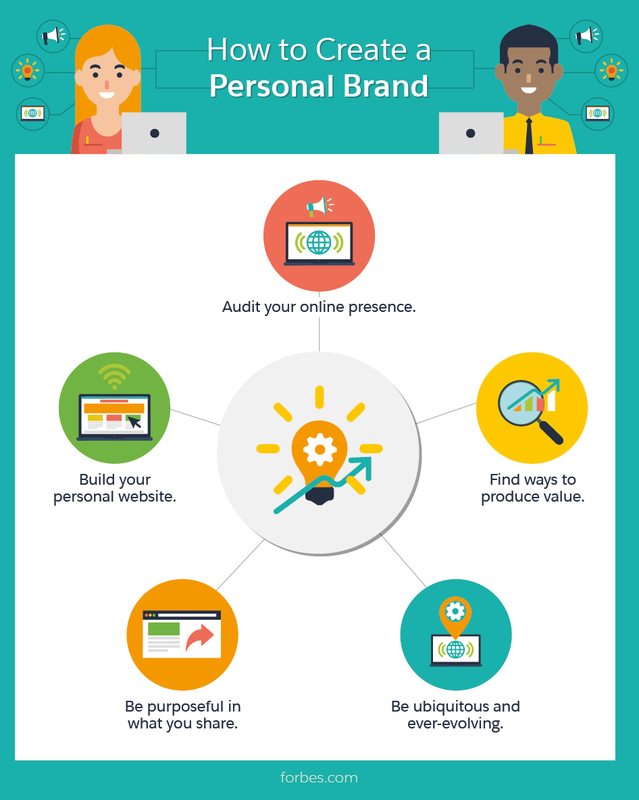 Just like other brands, your personal brand takes significant time to build and can be seriously damaged by one ill-advised action, so it is crucial to put in the time and effort to cultivate your personal brand before you even need to put it to work. And if every piece of content that is generated by the company is reflective of its brand, so too is every of your interactions indicative of your personal brand. Cultivate a reputation of expertise through thought leadership. A high-impact strategy for strengthening your personal brand and appearing on the radar of high-level executives is to position yourself as a respected thought leader. Publish high-quality content and take advantage of opportunities in interviews and other settings to speak about your area of expertise. While you may have an array of interests that you would like to write about, it’s best to stick with a single subject or sphere. This will help to establish your credentials and open more opportunities to share your story in popular forums and media. As you continue to promote yourself, you may find that the CEOs you reach out to next will have already heard of you. And that sort of influence is priceless. Suddenly, formerly hard-to-reach prospects become purchase-ready customers who are eager to do business with you based off of your reputation alone. Remember the power of quid pro quo. 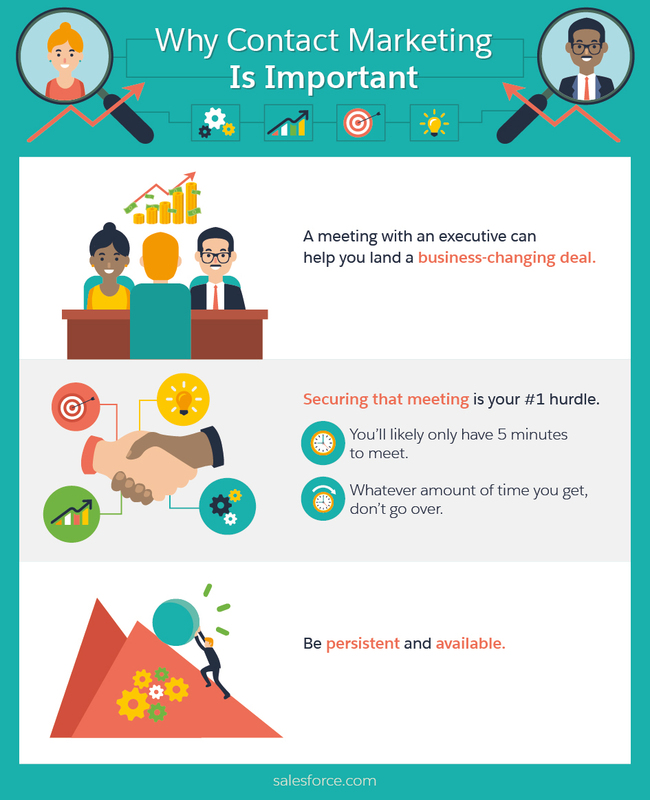 The most sought-after executives have so many people competing for their time that offering a clear, compelling reason why they should meet with you is often the best approach. Their time is very valuable, after all, and you are going to be the recipient of that value if they decide to meet with you. Shouldn’t they be guaranteed something in return for their efforts? Many times you may be in a position to provide your buyer with new opportunities, such as free publicity or valuable referrals. One expert suggests you should invite them to an interview for your company’s blog, a podcast you host, or a publication you write for. You can also extend your network to your prospect so that they may acquire a new business lead or get an introduction to someone they want to meet. Do appropriate research to determine what could benefit them the most, and then align those options with what you have to offer. Cultivate important relationships with executives using contact marketing. These methods will help your sales team reach key decision makers in the business world who have the ability to propel your business forward.